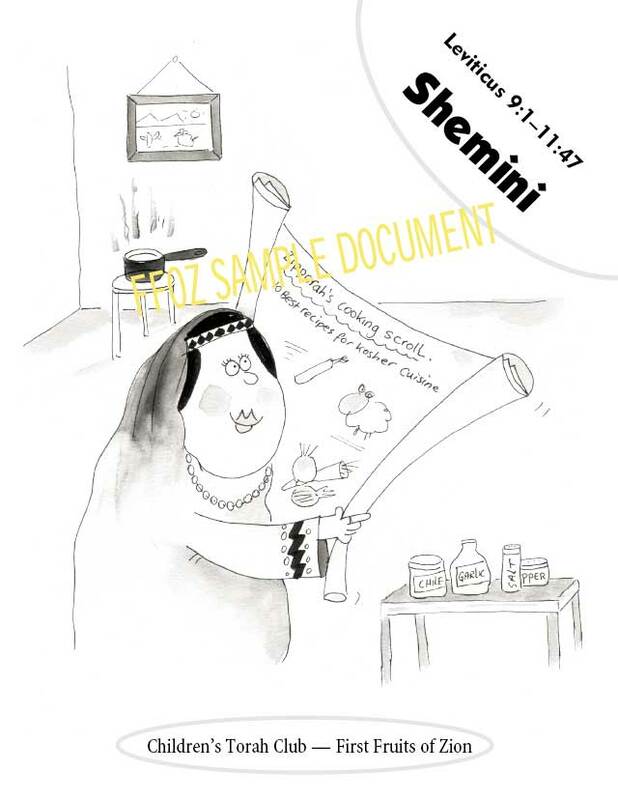 A sample 8-page booklet of one week's material from Children's Torah Club. Children's Torah Club members normally receive 4–5 such booklets as part of their monthly subscription. Every booklet differs in content.